Ready to enroll at ClubHouse Academy? 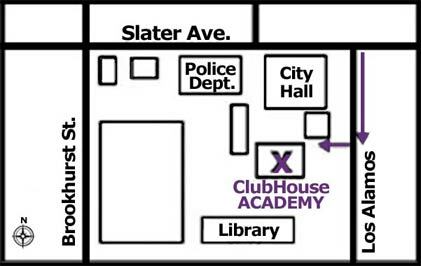 The easiest way to enroll at ClubHouse Academy is to visit during our normal office hours. You can download a contract and bring it to the Club or sign up at the front desk. Click here to download our ClubHouse Academy summer contract. 10200 Slater Avenue, Fountain Valley. Our building is the former Fountain Valley Community Center, located between City Hall and the Library. Members participating in the Boys & Girls Club’s after school program at the Huntington Beach or Kingston (Fountain Valley) branches can register for classes at their Club. Bus transportation is available to and from selected classes for Club members for an additional fee of $10 per month. Give ClubHouse Academy a Try! We invite prospective students to tour our facility, watch a class, or even try one for free! If you have any questions or would like more information about any of our classes, please call (714) 593-0753 or send us an email at sem@bgchv.com. We hope to see you soon!